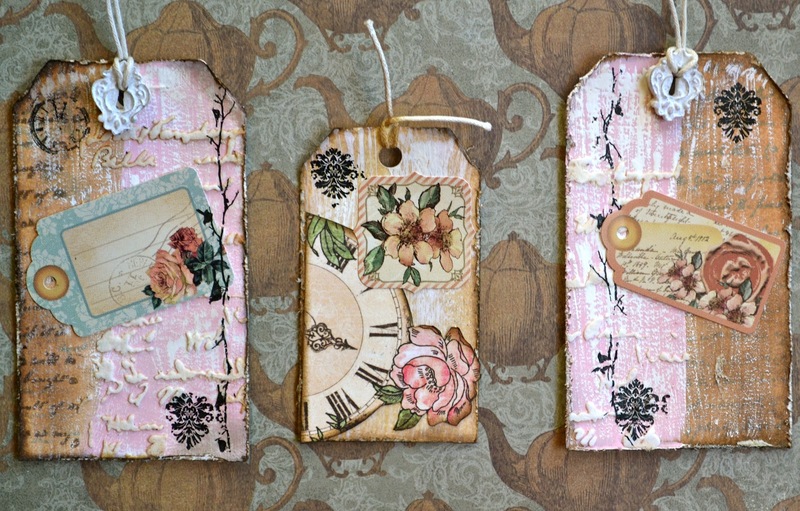 Here's a couple of close-ups of my Melissa Frances mini tags and envelopes. 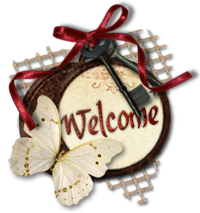 I altered them by stamping the envelopes with a script stamp. 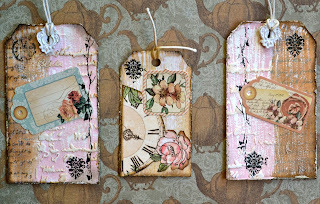 For the tags I first used some Tim Holtz Inks for one side and painted the other side pink. I then used a flared brush and painted on some white paint. I then used a Prima stencil and some texture paste.